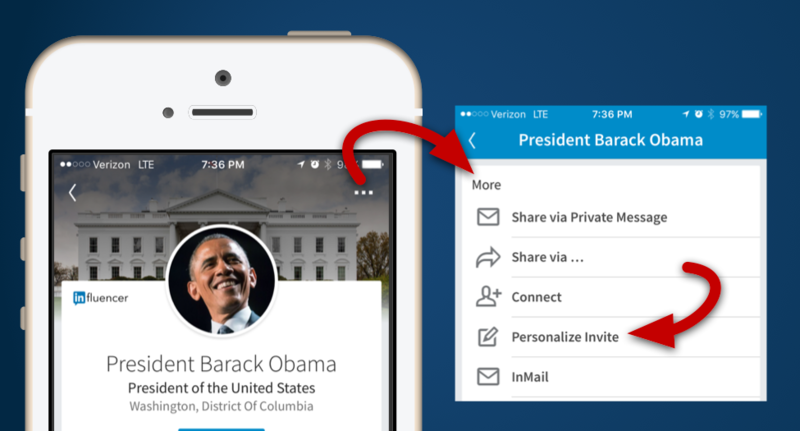 Do you use LinkedIn on the go? The main LinkedIn mobile app is a great tool for checking your news feed, corresponding with connections, and — importantly — getting the 411 on people you’re about to meet. The generic connection request is a giant problem, something I discuss in social media workshops all the time, and a frequent topic in many groups I belong to. The latest versions of the LinkedIn mobile app do indeed allow you to personalize your LinkedIn connection requests. Do it the next time you connect, and every time. Tell your potential connection who you are, where you met and why you should be connected. Give him the context for your request so he knows how you can help each other. The LinkedIn connection is the single most important transaction on LinkedIn, and it’s worth doing right. If you need a refresher on this, try our earlier post, How to Connect Like You Mean It on LinkedIn. Doesn’t that make the main mobile app just a little more useful? Improve your LinkedIn profile with our free ebook: 5 Surefire Ways to Improve Your LinkedIn Profile.